I continue to practice sketching lady's faces. Now, sketching is not my strong suit and the human form is a particularly difficult subject matter for a beginner to sketching. 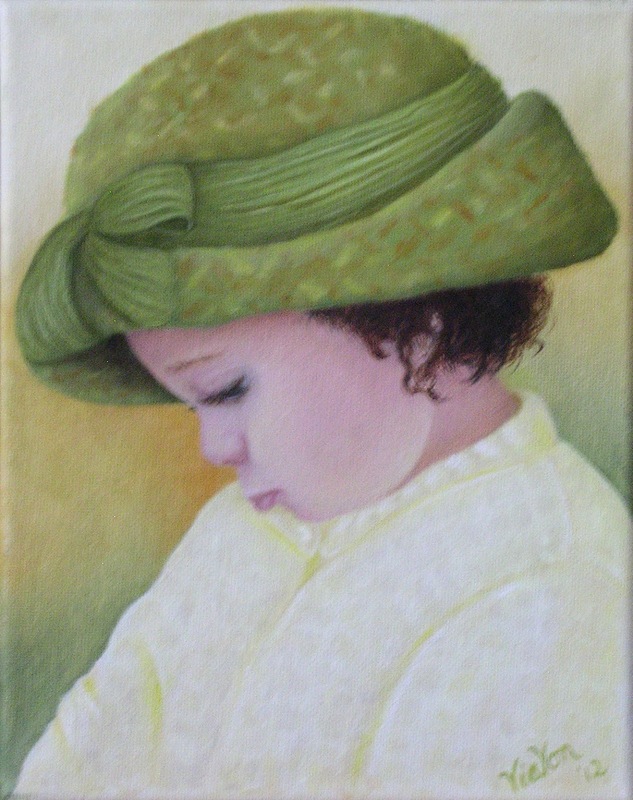 I've painted one portrait with Genesis Oils, which I named "The Pout". My painting was based on a photo offered through Paint My Photo - Ning Group. I adored this little girl's pout and the shared story behind the snapshot, taken by her grandma. I laboured over every detail -- she was someone's little darling! -- and felt I'd done a passable job of the endeavour for my first portrait ... ever. But ... back to pencil sketching portraits and so forth. BAH! I'm challenged. :-( I want little girl and lady faces for my art journals ... and I'm determined I shall learn them! So I press on. Initially "My Lady's Presence" was sketched in charcoal and then I applied watercolour pencil. When I was fully satisfied with the lay in of the colour, I then applied water. Just brilliant work, Von! I love the pursed lips on M'Lady. You couldn't have done a better job!